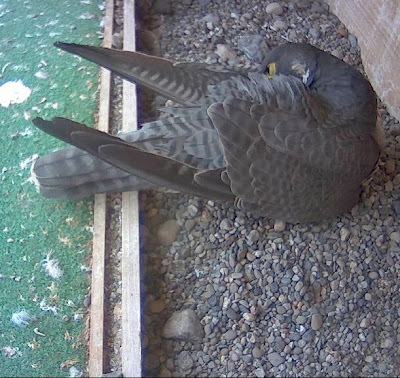 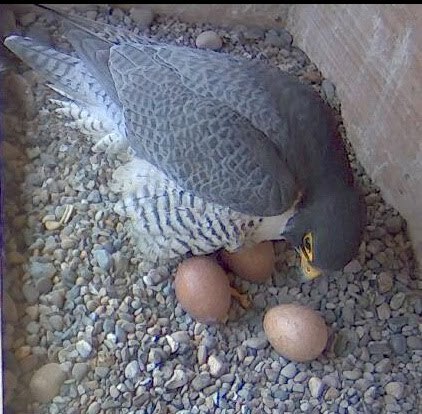 We're playing the waiting game in Buffalo, knowing any moment our total number of Peregrine falcons will increase! 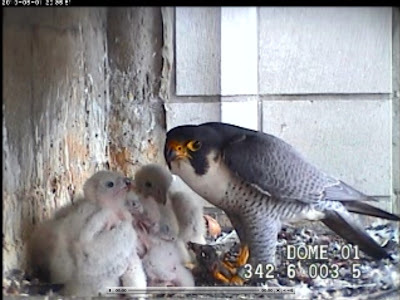 While the status of the Grand Island Bridge nests, the gain elevator and the Niagara gorge are in question, we know we can count on the Statler, UB and Central Terminal, although only UB has a cam monitoring their nest. and St Gudula Cathedral and it already seems to be a tight fit! 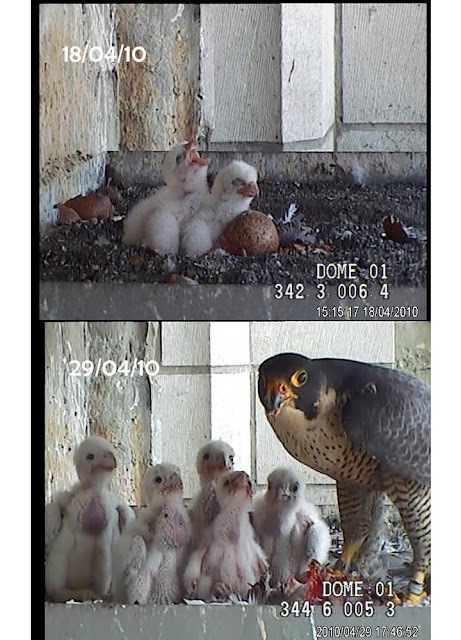 Two eggs hatched on 4/18 and the bottom shot is 4/29 showing all five! 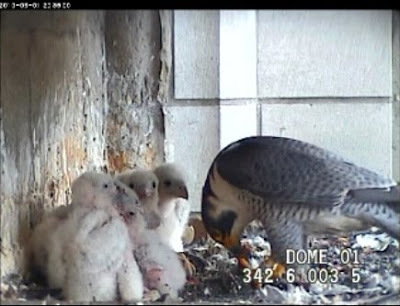 Love all your falcon/eyas pics. Thanks so much.